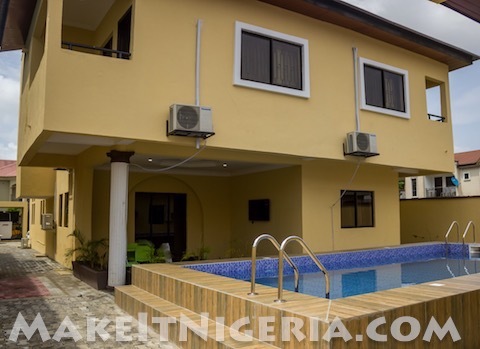 Relaxingly Comfortable Holiday Rental Apartment with Swimming Pool at VGC! 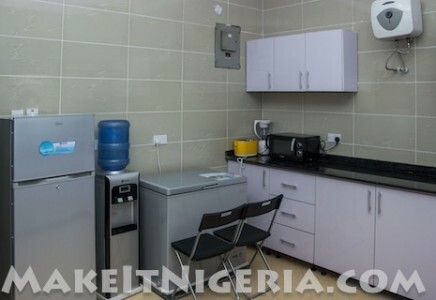 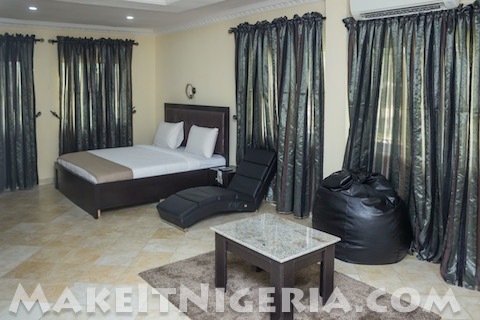 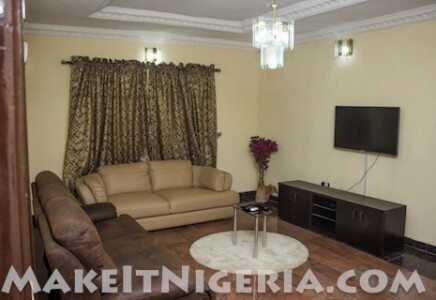 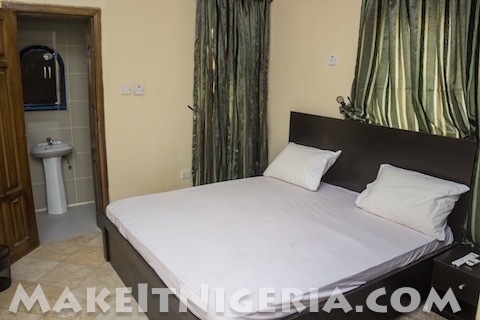 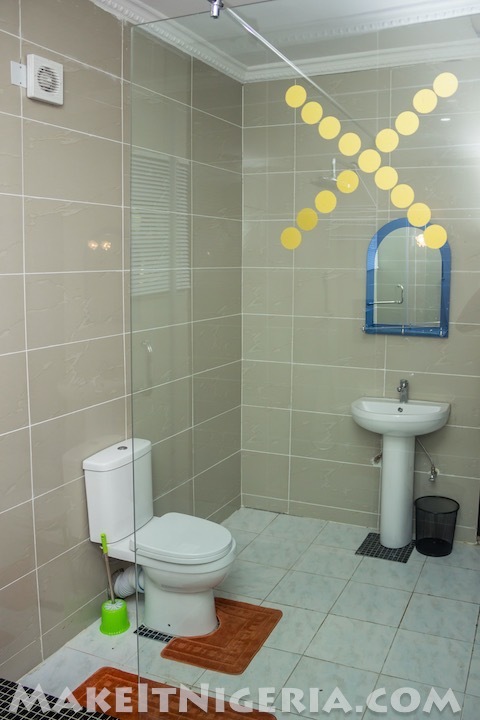 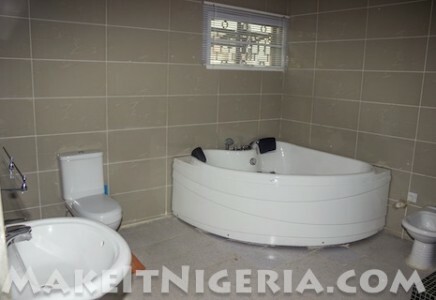 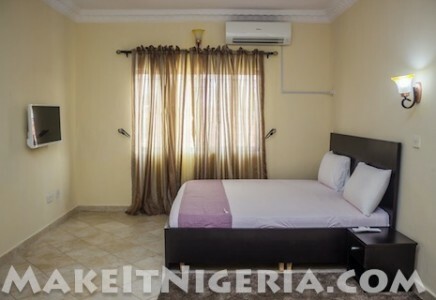 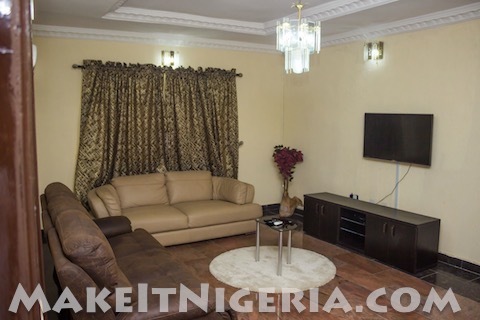 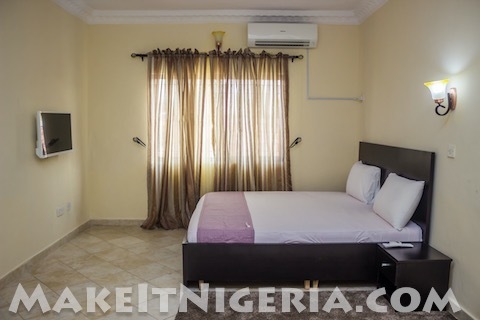 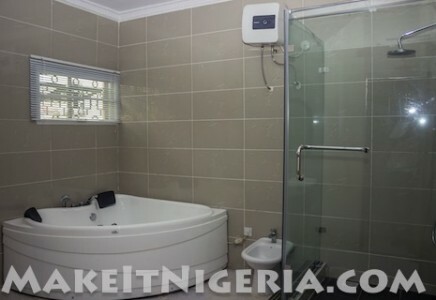 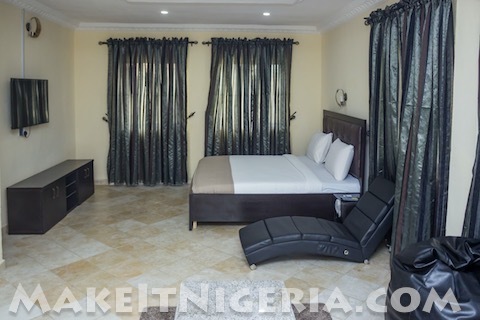 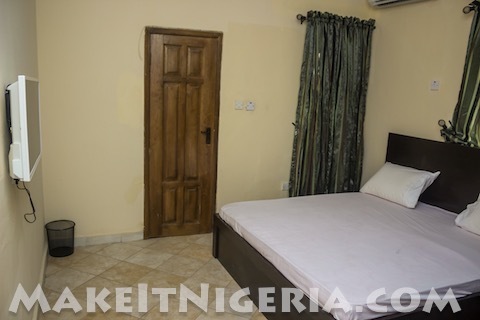 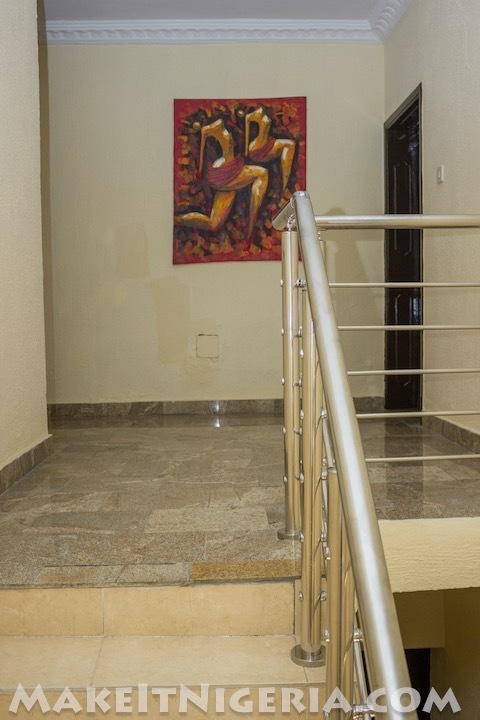 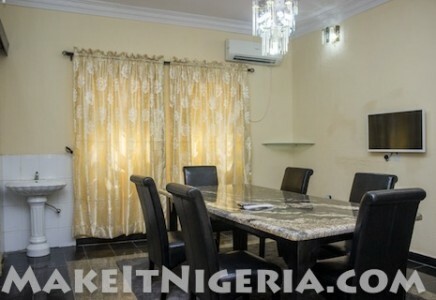 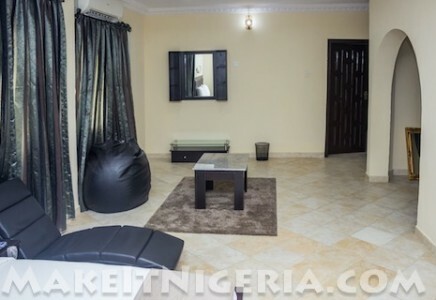 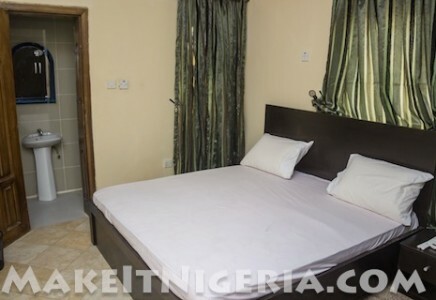 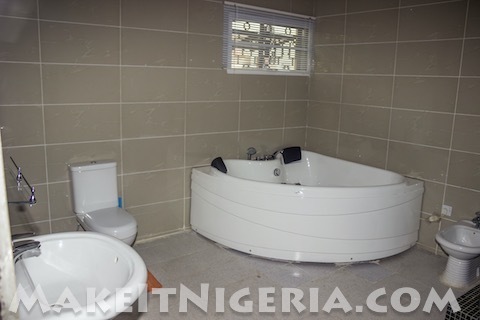 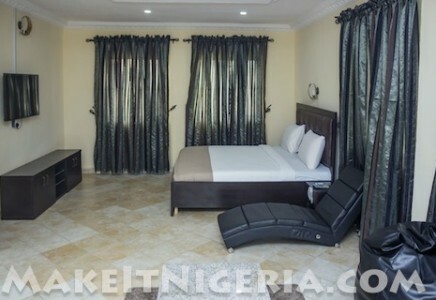 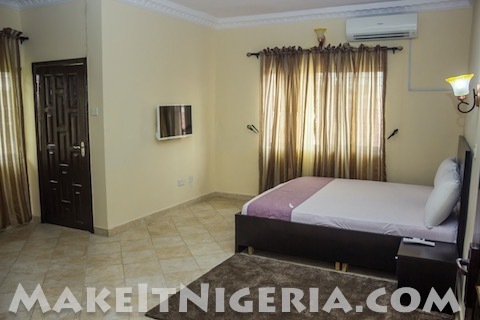 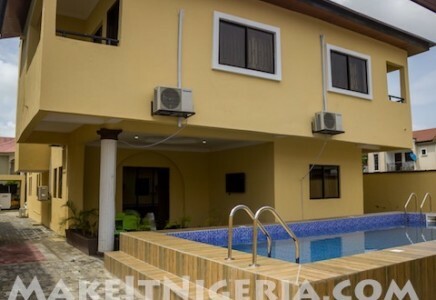 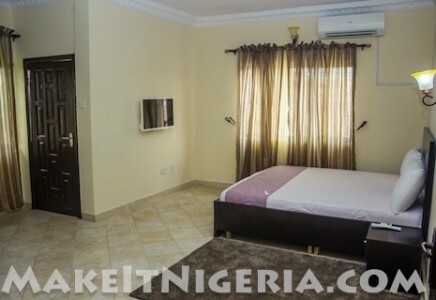 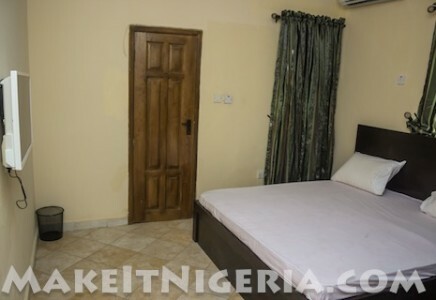 Why confine yourself and your family to hotel rooms on your next vacation or business trip to Nigeria? Check out this home-away-from-home at yet another Casabella rental residence home. 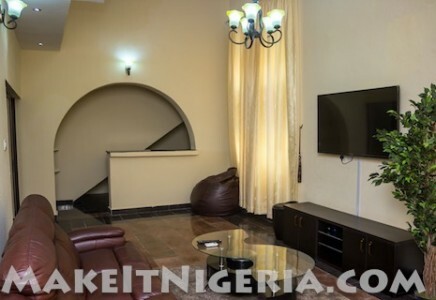 This villa comes with a living room and a dinning area for up to six guests! 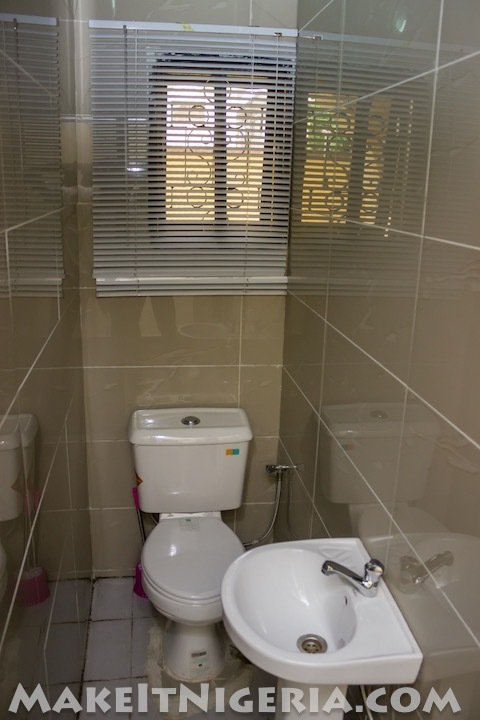 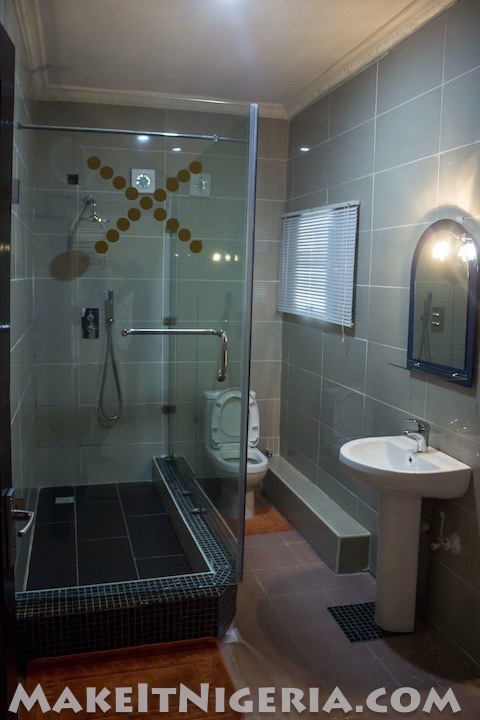 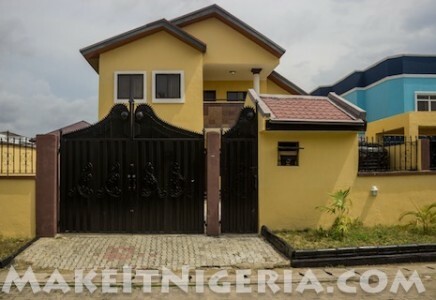 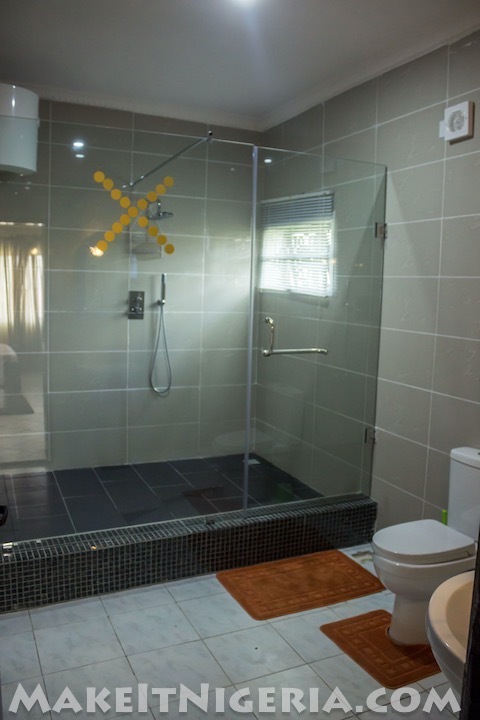 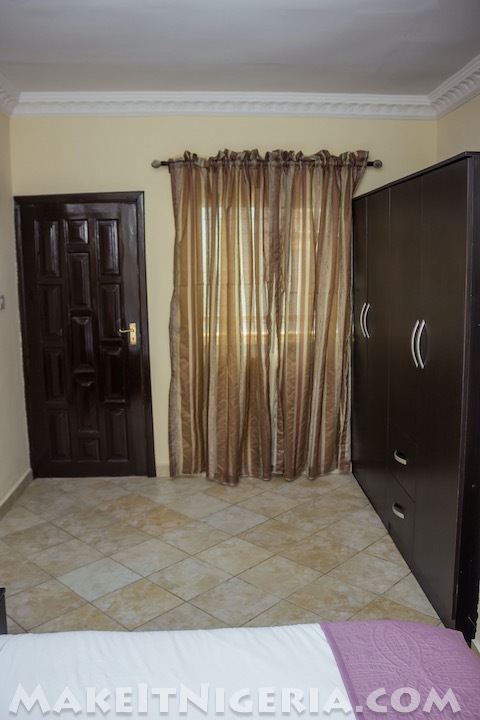 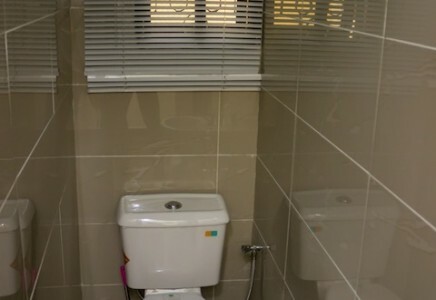 It is located inside the ultra-modern secure gated community at the Victoria Garden City (VGC) in Lekki area of Lagos, Nigeria. 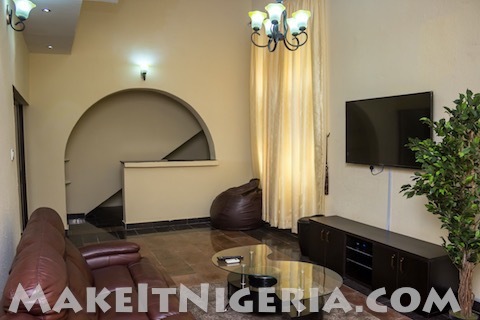 A Smart flat screen Lcd TV in the main living room with dstv. 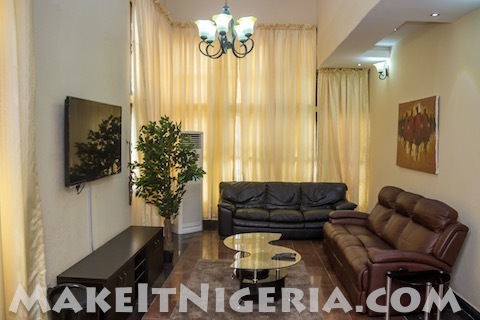 Living room comes with imported Italian sofas with recliners. 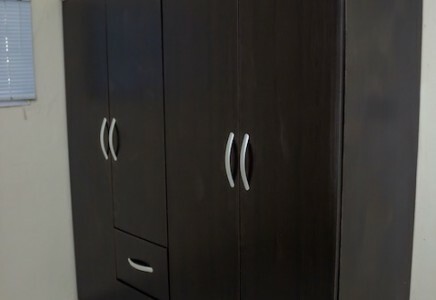 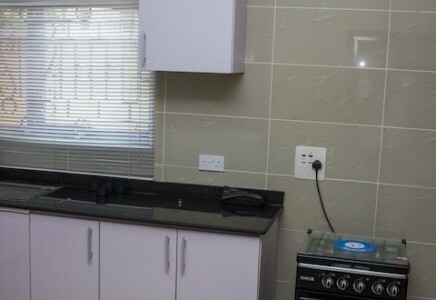 All bedrooms have flat screen TVs with dstv. 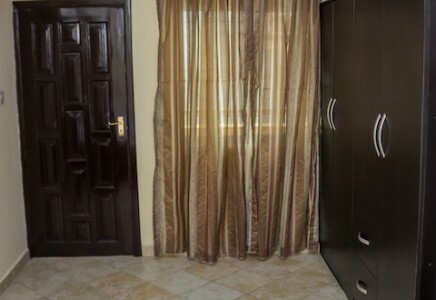 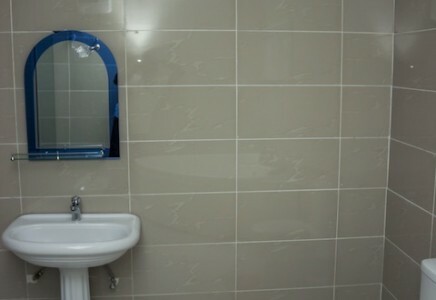 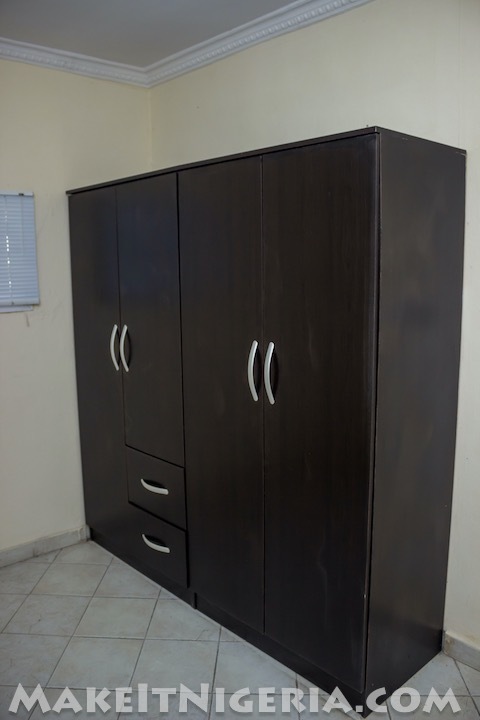 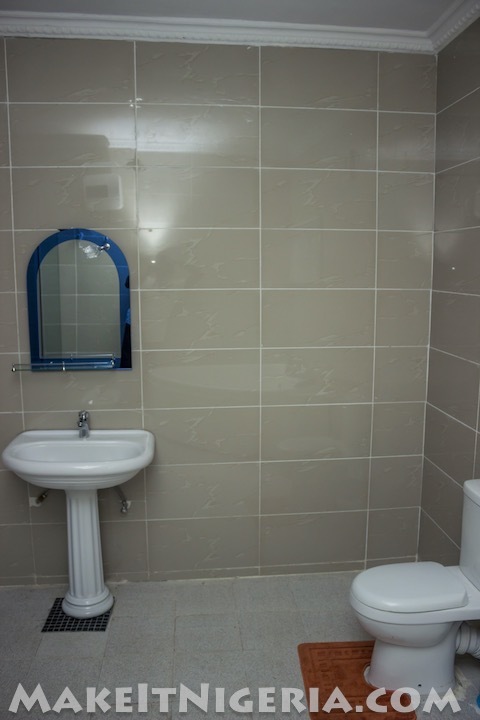 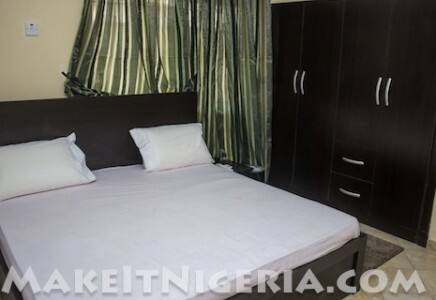 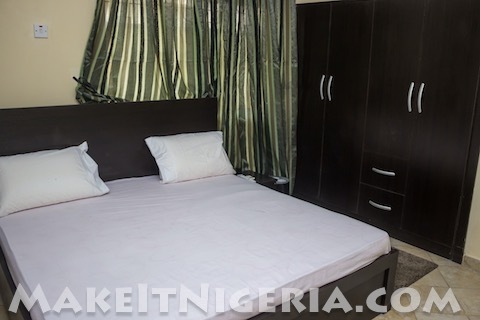 Also, all the bedrooms have imported fitted wardrobes, bedside cabinets and queen size beds with imported bed linen. 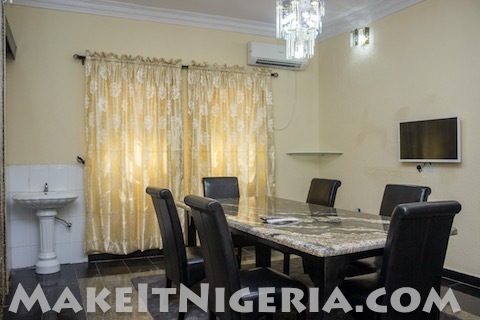 Dinning room sits up to six guests and is fitted with granite dinning table, AC and wash hand basin. 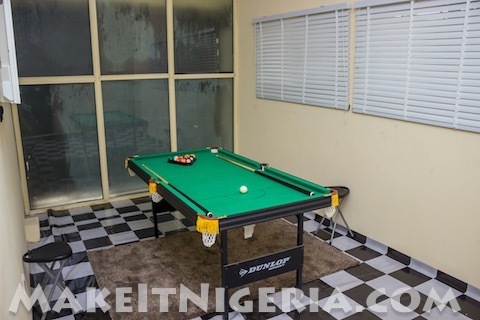 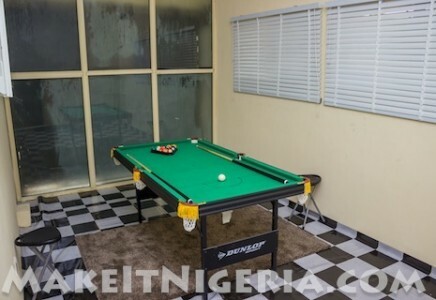 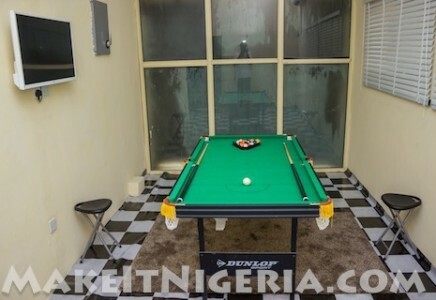 Snooker room fitted with snooker table, 32 inch flat screen TV with dstv. 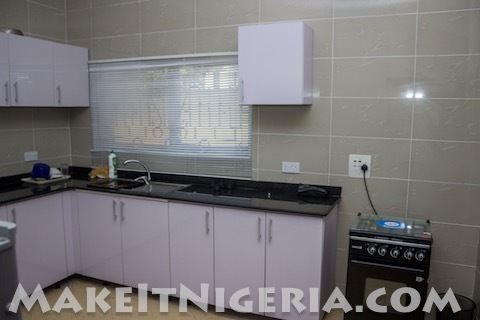 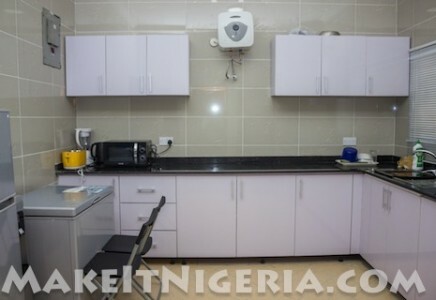 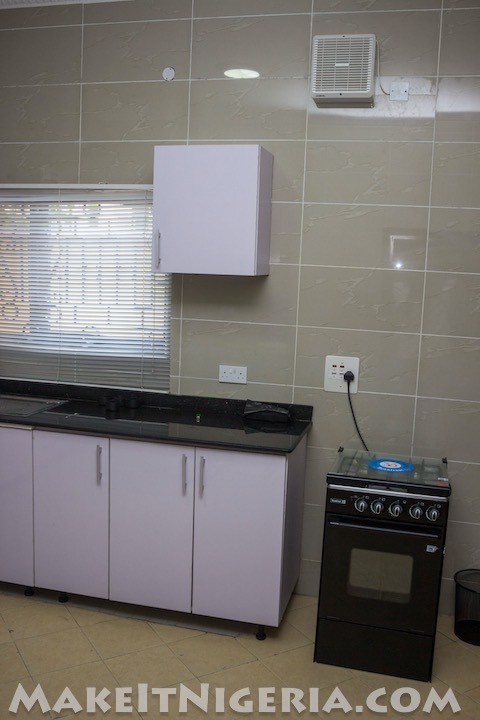 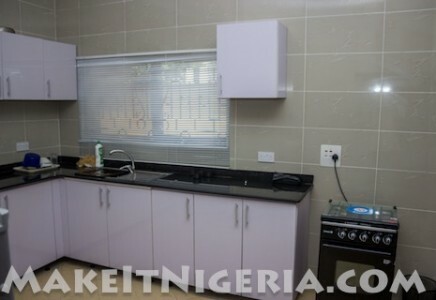 Fully fitted kitchen with Gas cooker, fridge freezer, microwave, toaster, blender, assortment of pots, pans, cutlery, electric kettle etc. 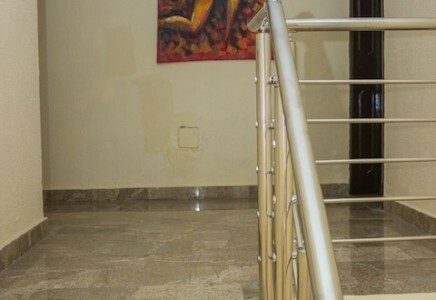 Security doors on all ground floor exits.